Our Churchyard & Marble Memorials can be manufactured in any material and all ornaments and designs are interchangeable. Headstone available in 33”x 21”x 3” with a 6”x 24”x 6” base. 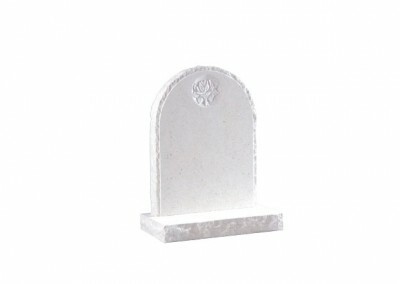 Sandstone with hand carved rose design. Headstone available in 33”x 21”x 3” with a 3”x 24”x 12” base. Dark Grey Granite with a honed finish. Rounded edges to give a cross effect. Headstone available in 33”x 21”x 3” with a 3”x 24”x 12” base. 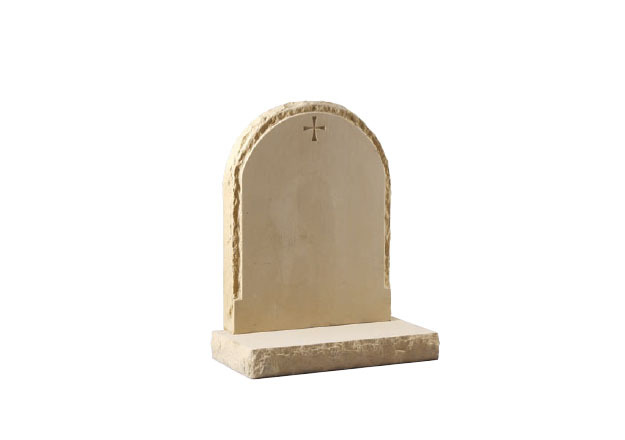 Portland stone with a deep ogee shape and a hand carved ‘dove of peace’ engraving. 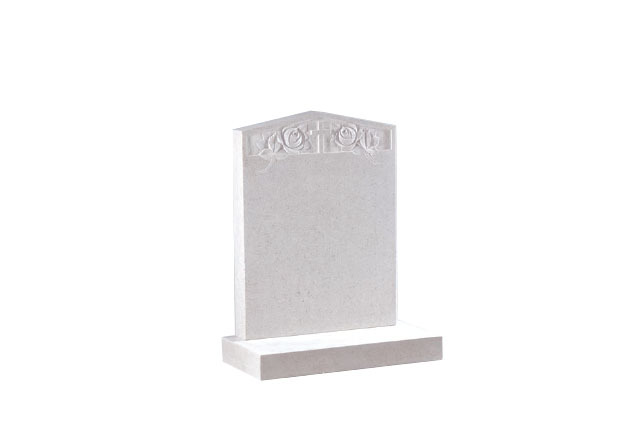 Headstone available in 33”x 21”x 3” with a 3”x 24”x 12” base. Nabresina stone incorporating a hand carved lily. 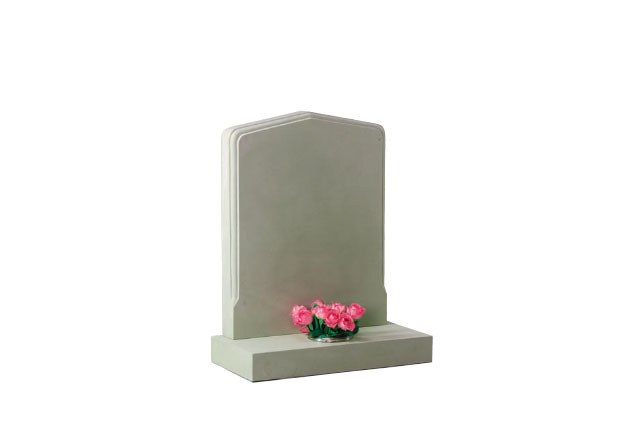 Headstone available in 27”x 21”x 3” with a 3”x 24”x 7” base. 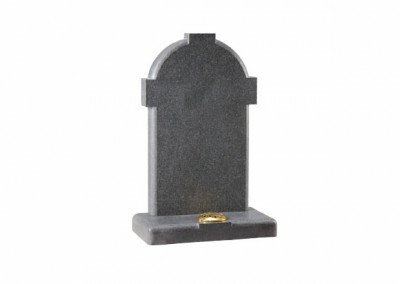 Cornish granite with separate vase in front. 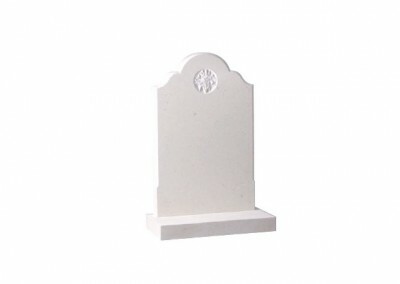 Headstone available in 33”x 21”x 3” with a 3”x 24”x 12” base. 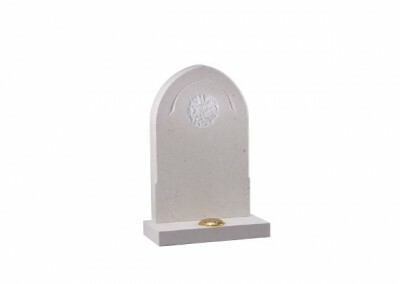 Nabresina Stone with a chamfer edge and hand carved design. Headstone available in 27”x 21”x 3” with a 3”x 24”x 12” base. York stone with a natural pitched edge and margin. Headstone available in 33”x 21”x 3” with a 3”x 24”x 12” base. Forest of dean Stone with moulded profile around the edge. Headstone available in 27”x 21”x 3” with a 3”x 24”x 12” base. 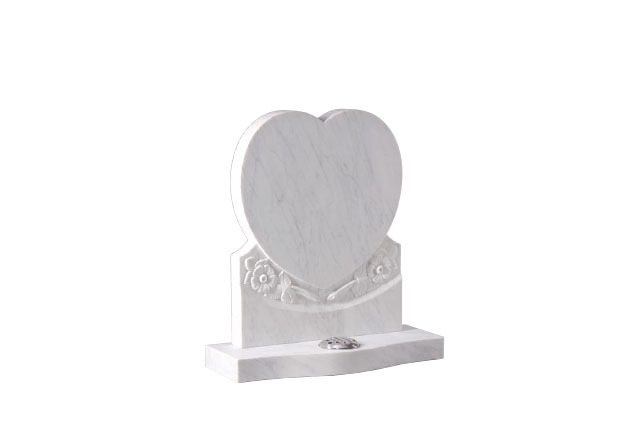 Nabresina Stone with pitched edges and carved rose design. Headstone available in 27”x 21”x 3” with a 3”x 24”x 12” base. Nabresina Stone with oval and recessed check down each side. 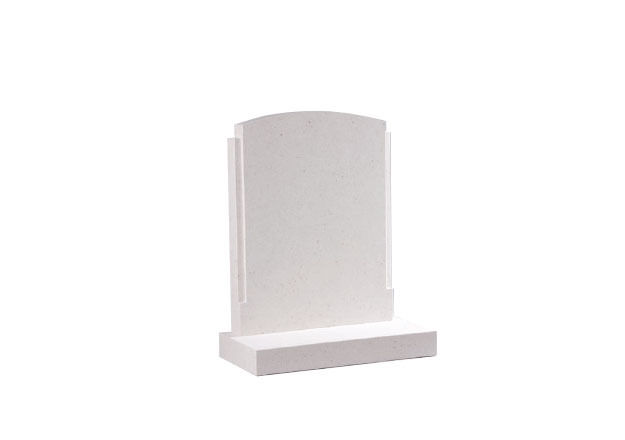 Headstone available in 27”x 21”x 3” with a 3”x 24”x 12” base. 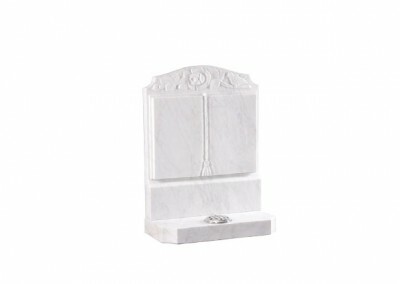 Nabresina Stone with hand carved rose and cross design. 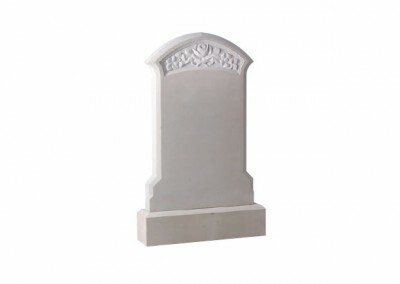 Headstone available in 30”x 24”x 3” with a 3”x 30”x 12” base. Marble with worked book with carved rose and dove design above. Headstone available in 30”x 24”x 4” with a 4”x 30”x 12” base. Marble with carved angel overlooking a shaped book.